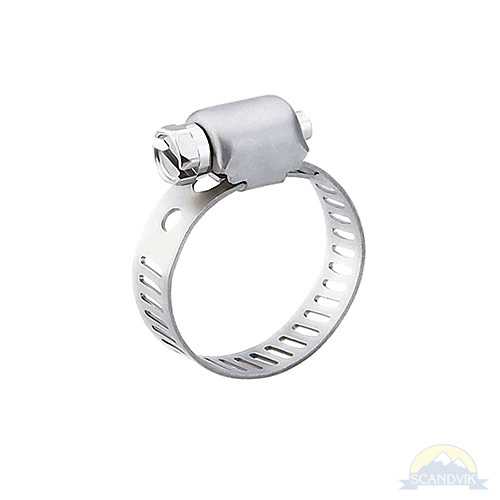 A lightweight, streamlined hose clamp generally used in small diameter applications such as air and fuel lines. 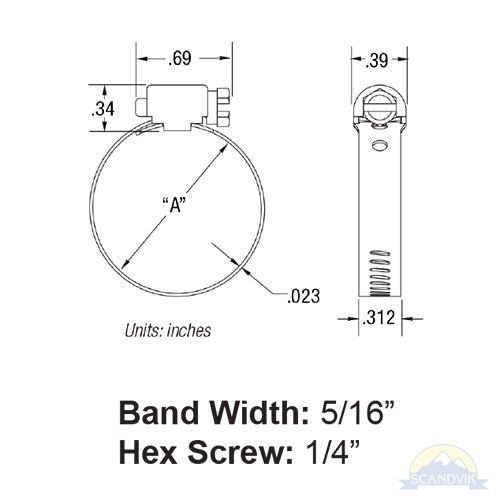 5/16” band with engineered perforations, three-piece construction, SAE standard J1508 type M, 1/4” hex screw, 5/16” band and one-piece housing all in 316 stainless steel. Made in the USA!